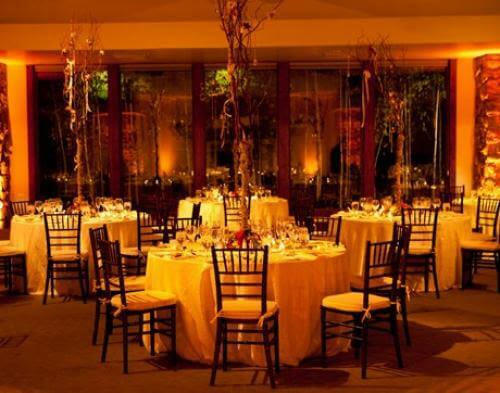 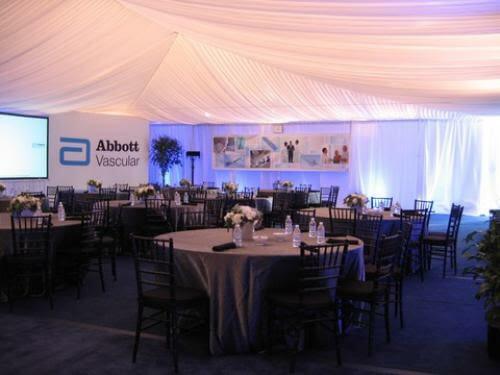 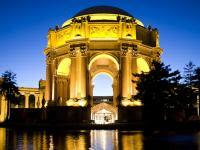 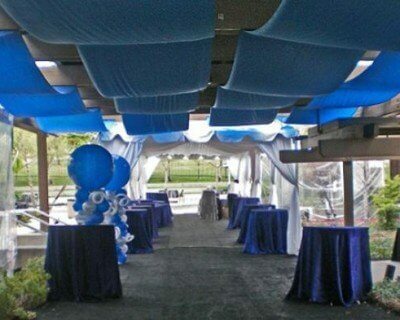 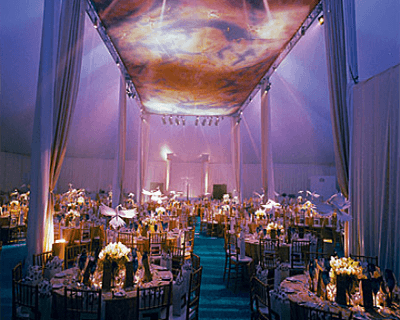 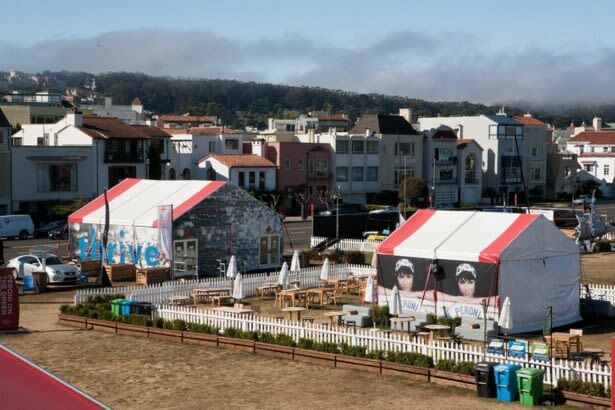 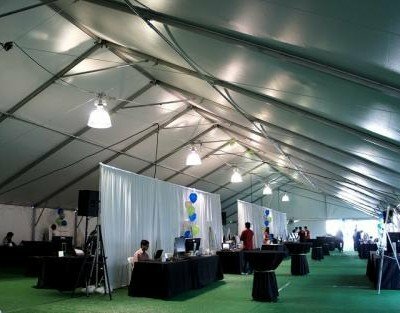 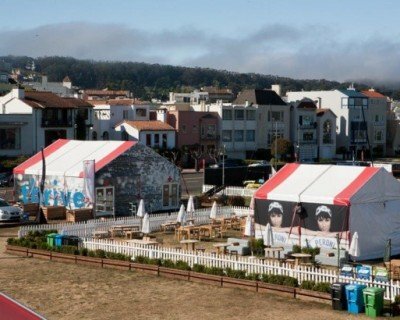 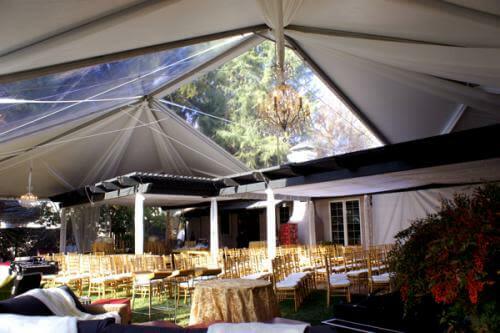 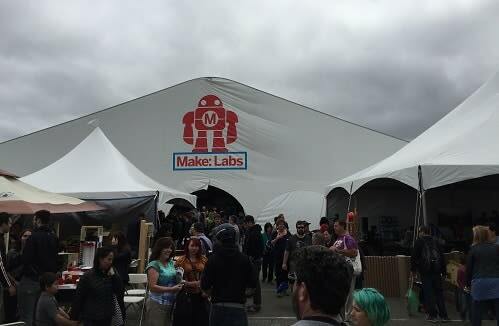 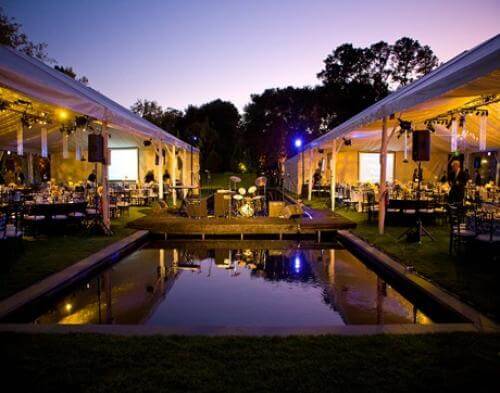 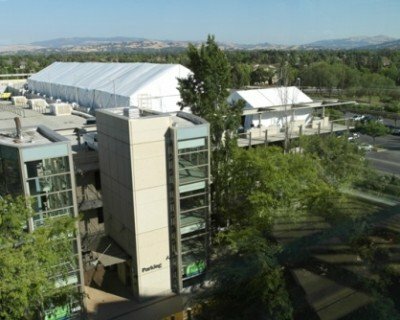 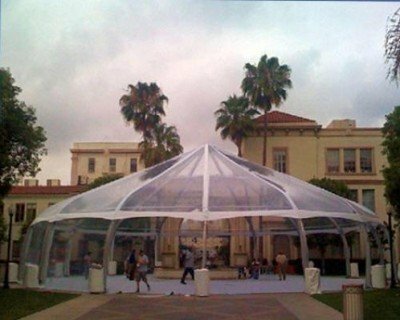 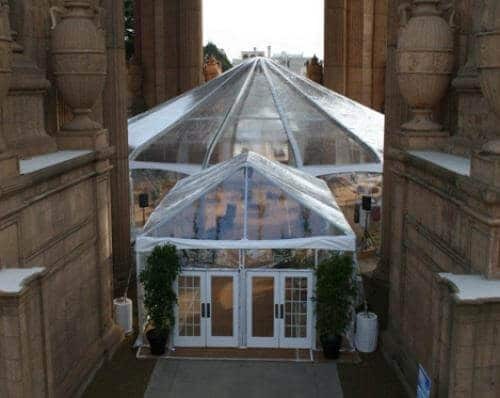 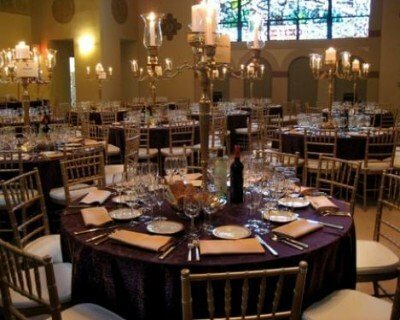 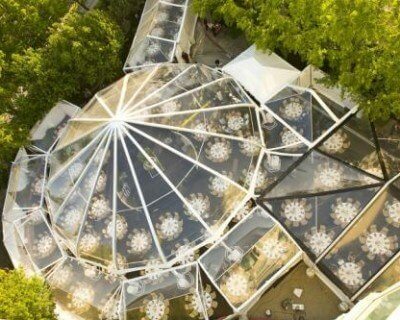 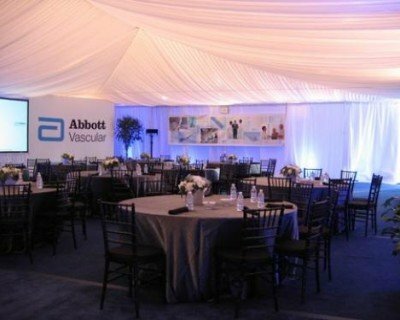 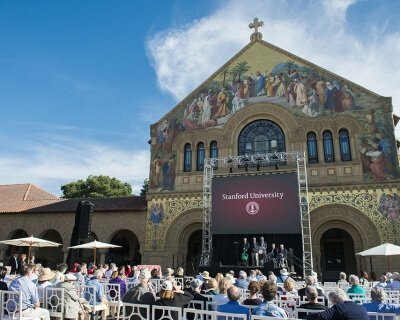 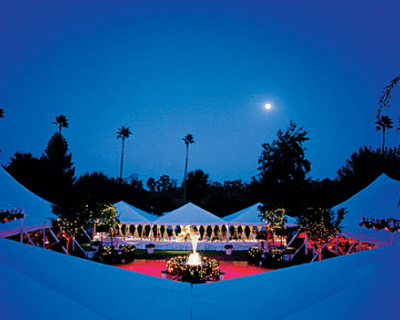 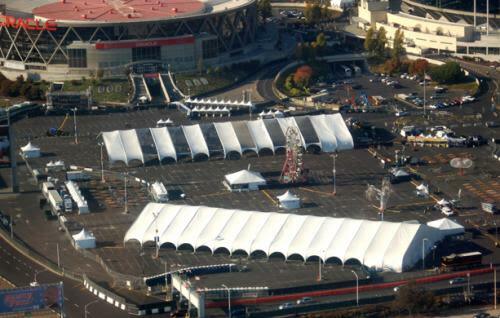 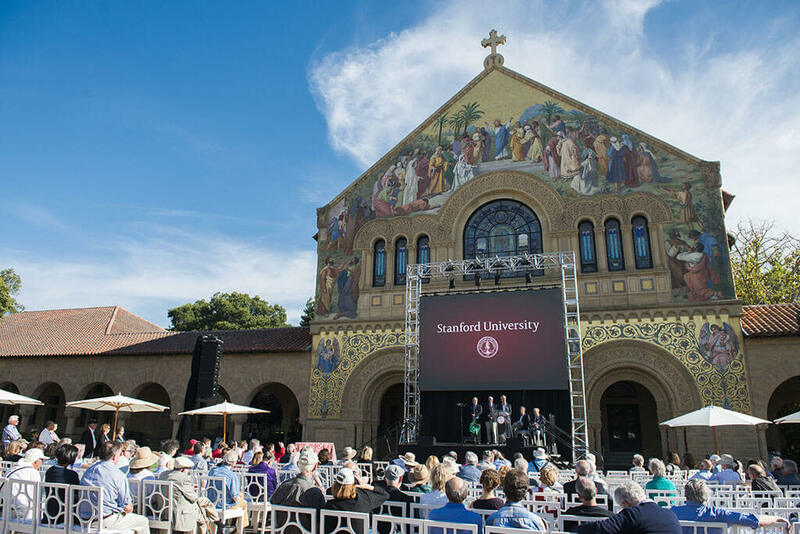 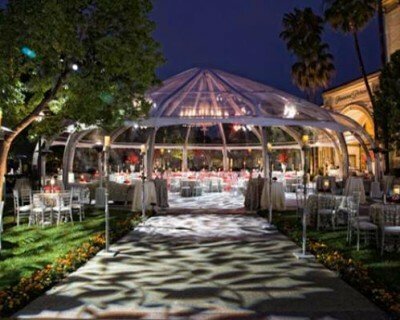 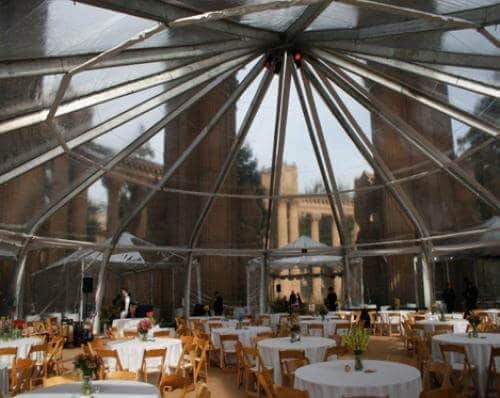 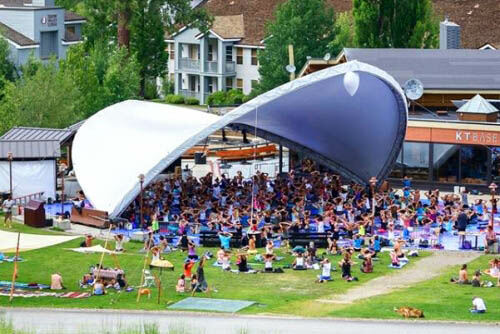 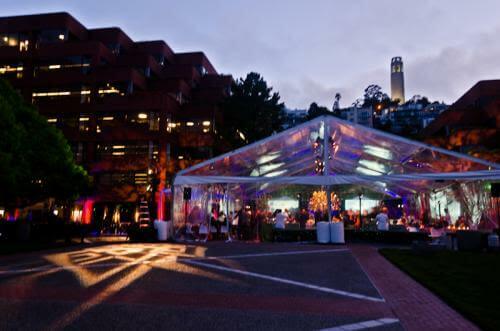 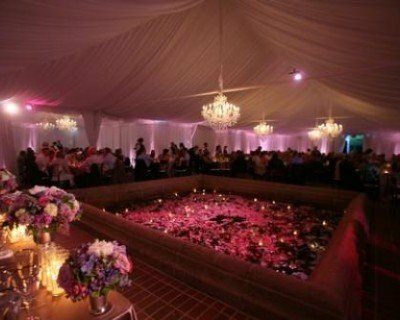 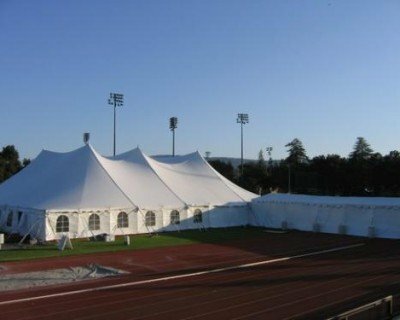 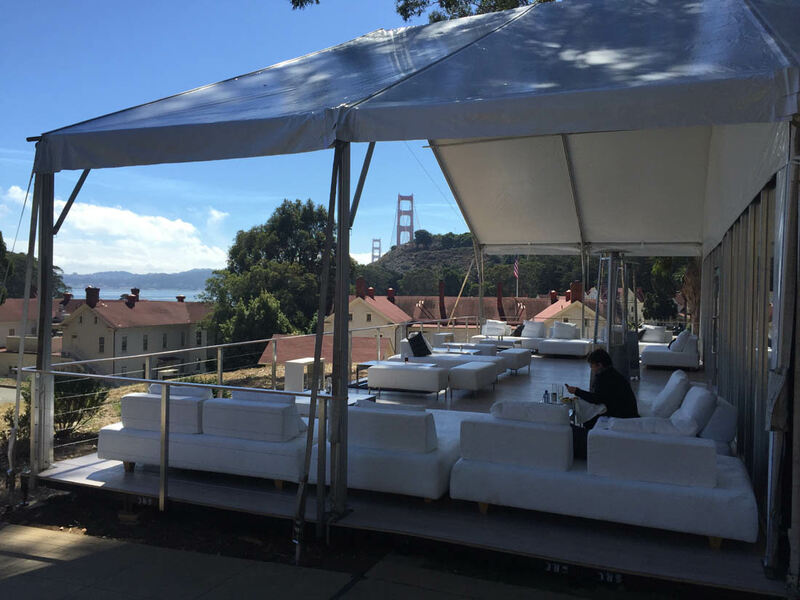 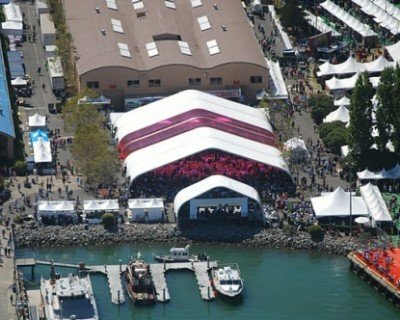 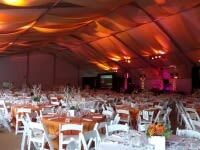 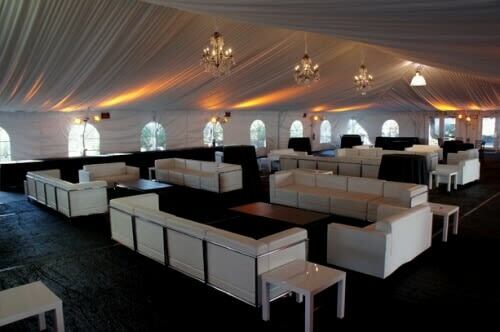 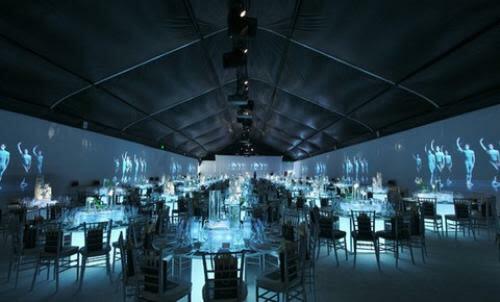 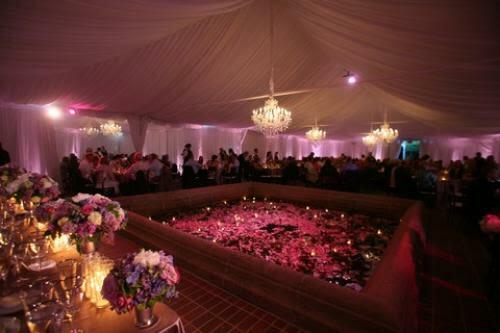 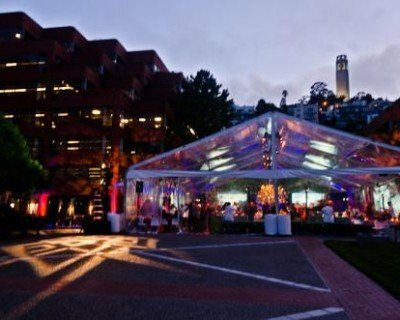 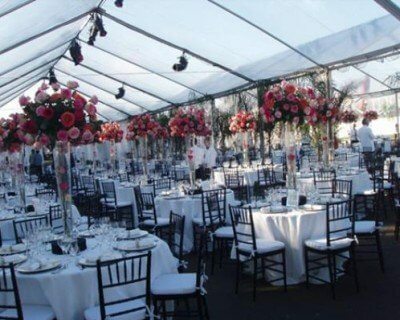 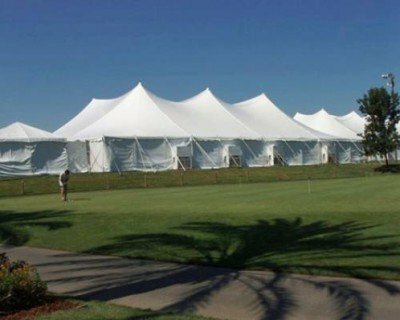 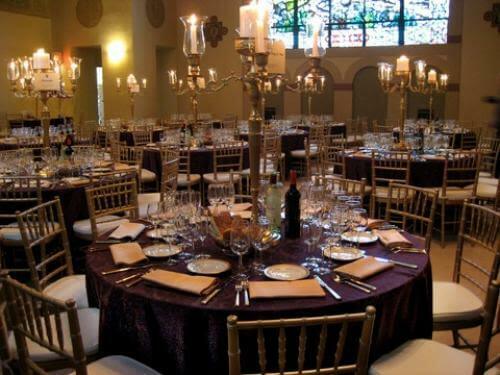 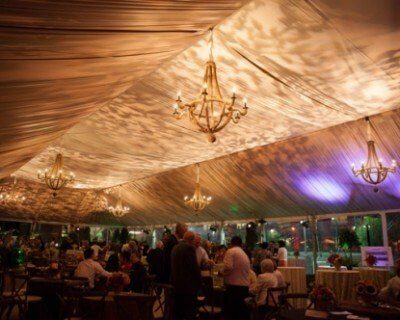 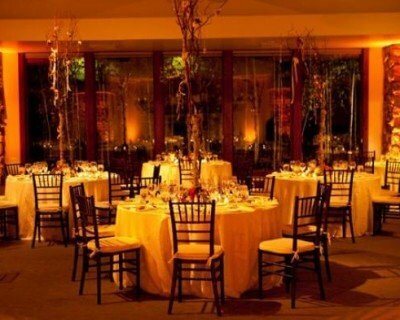 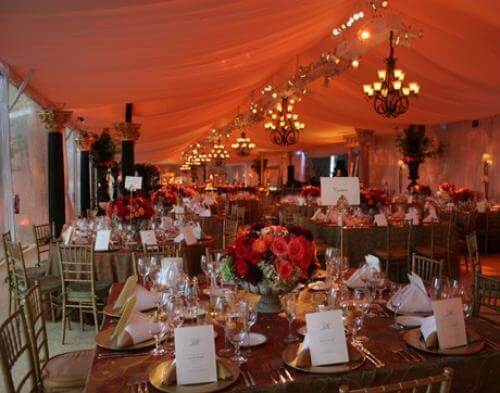 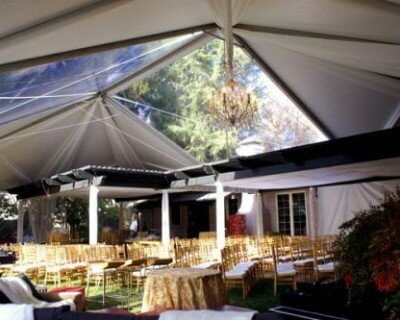 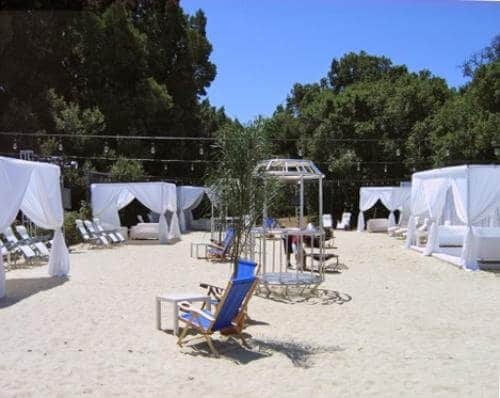 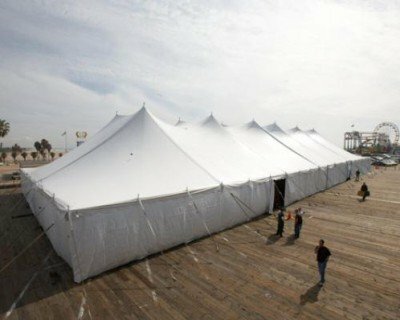 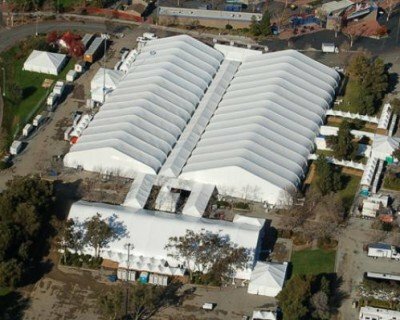 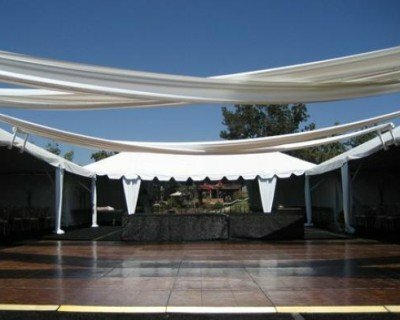 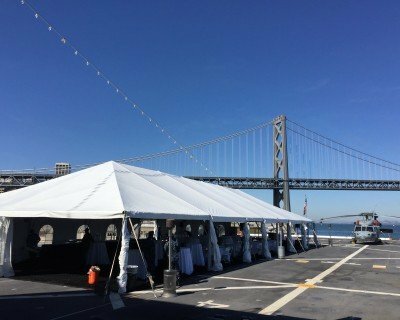 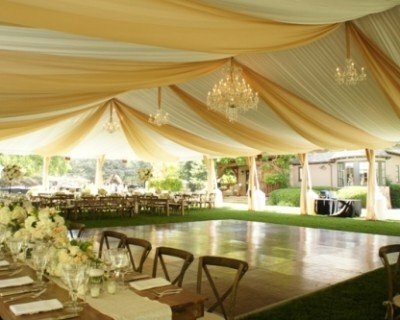 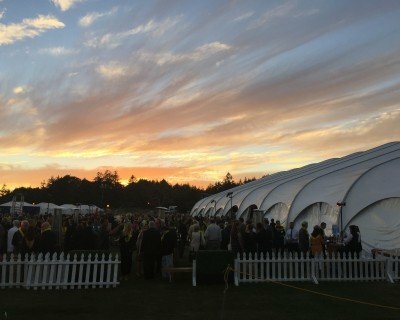 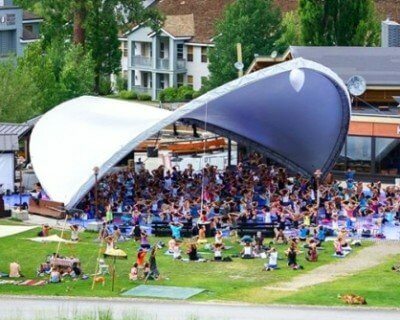 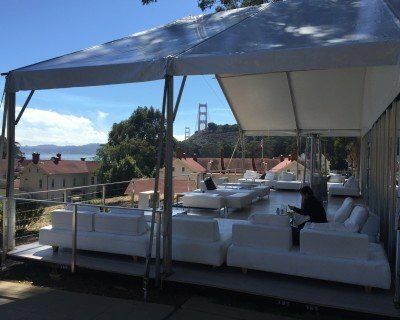 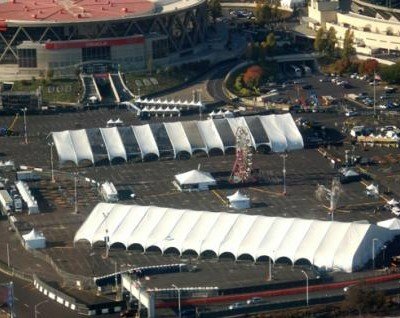 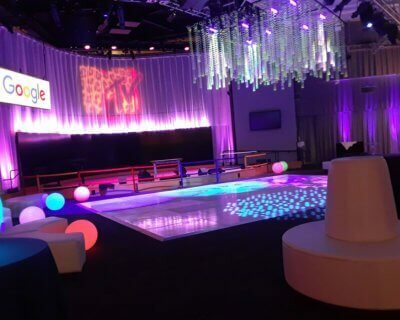 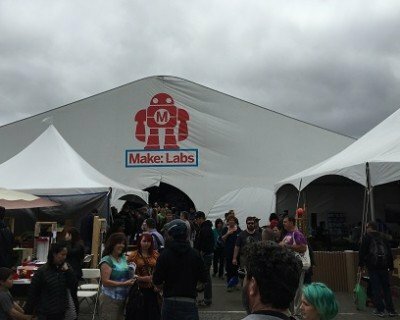 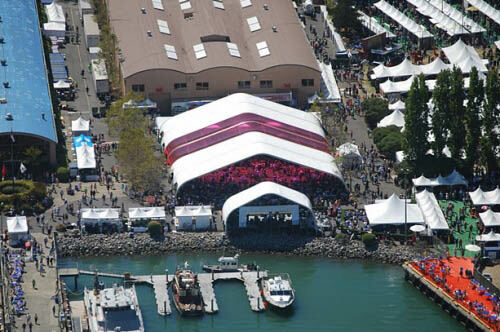 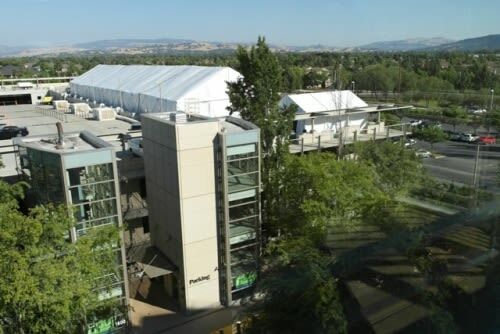 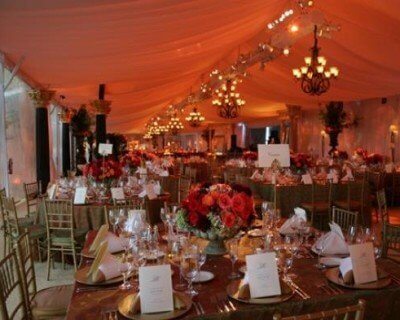 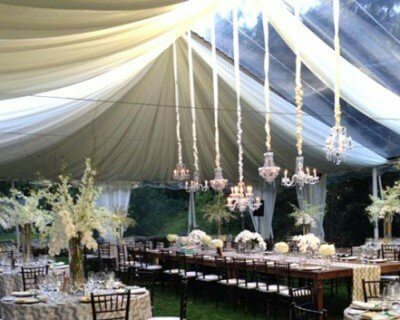 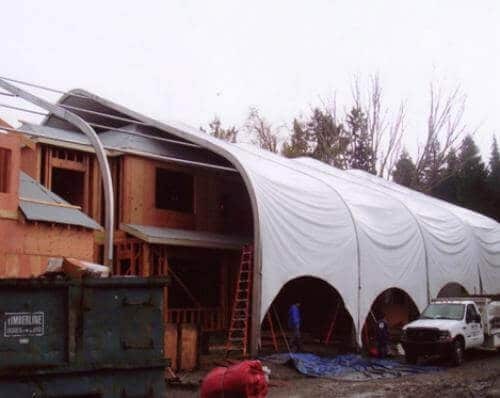 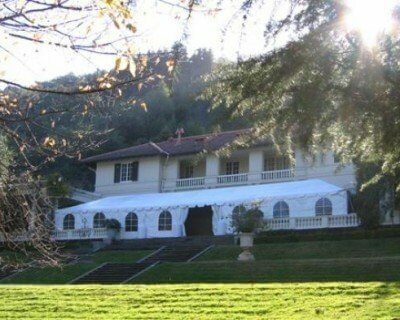 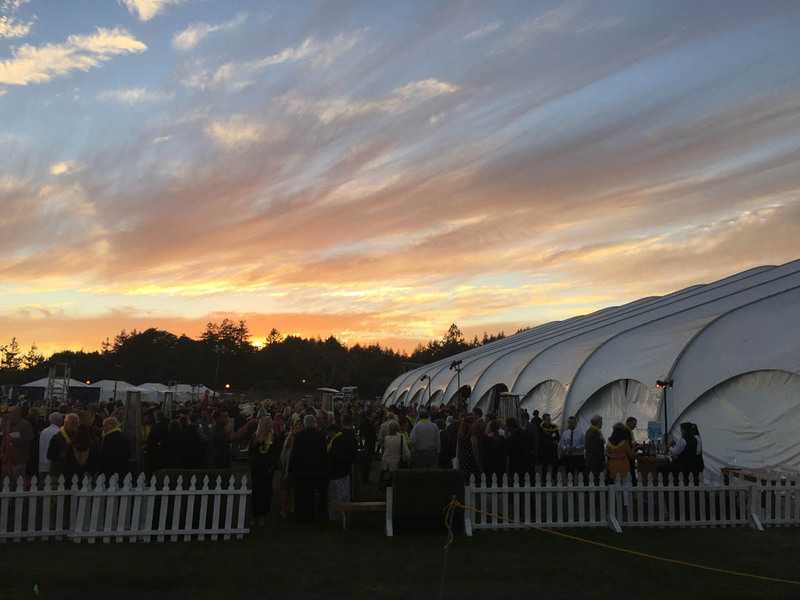 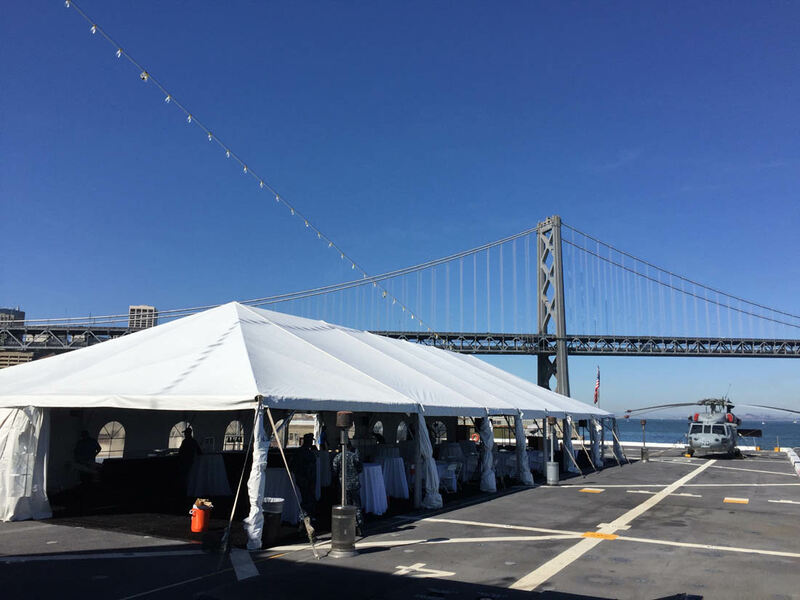 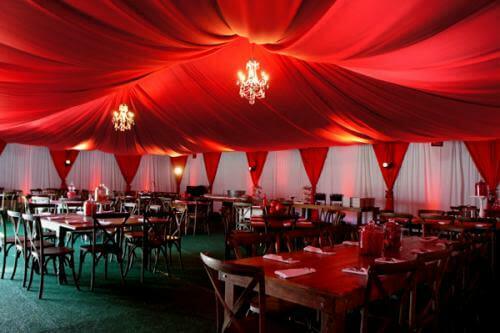 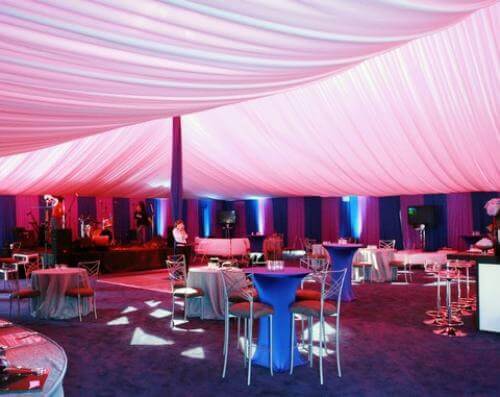 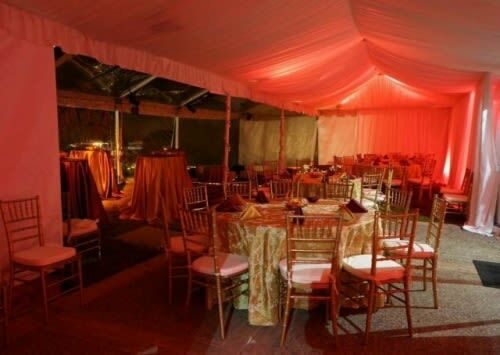 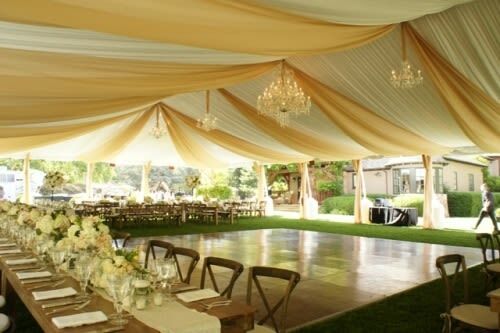 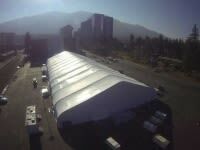 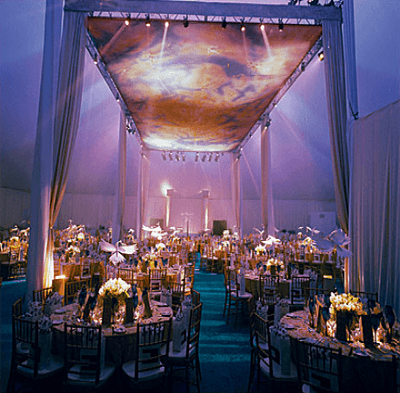 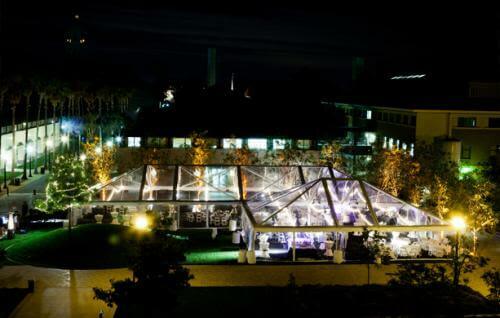 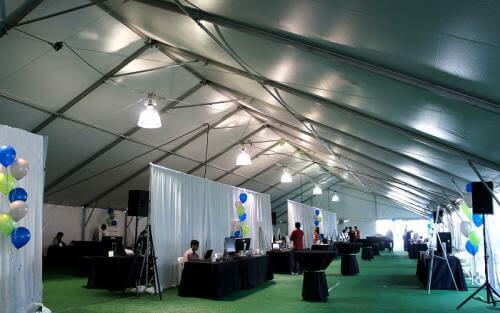 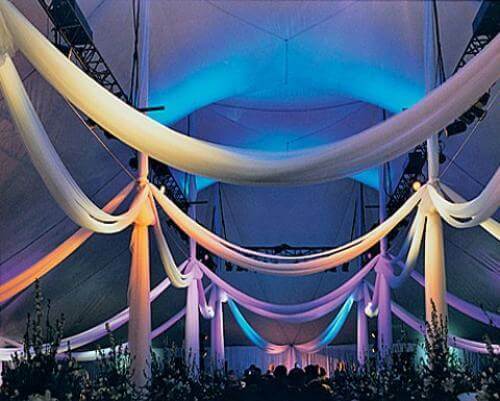 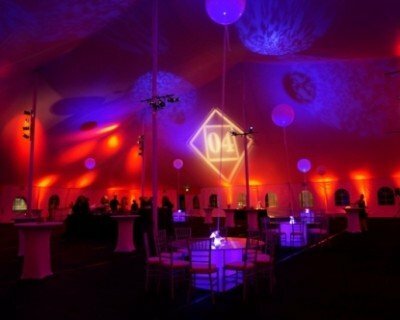 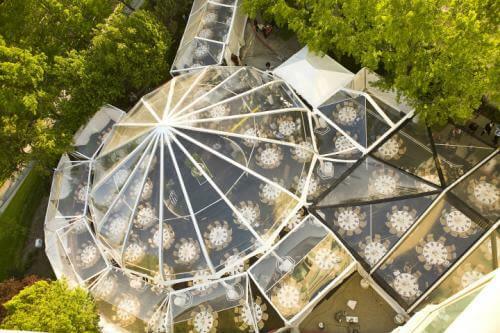 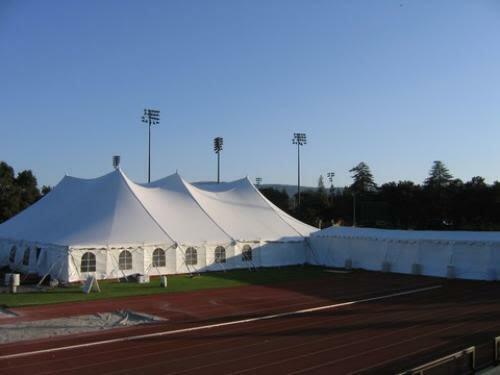 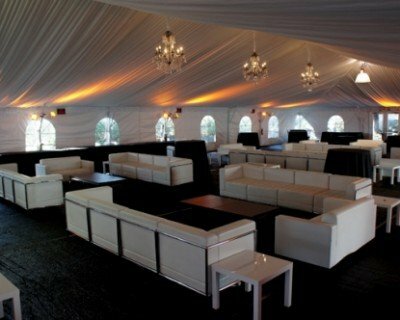 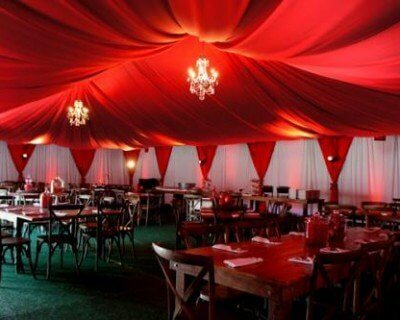 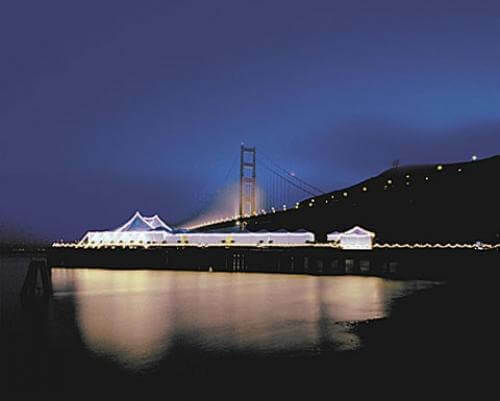 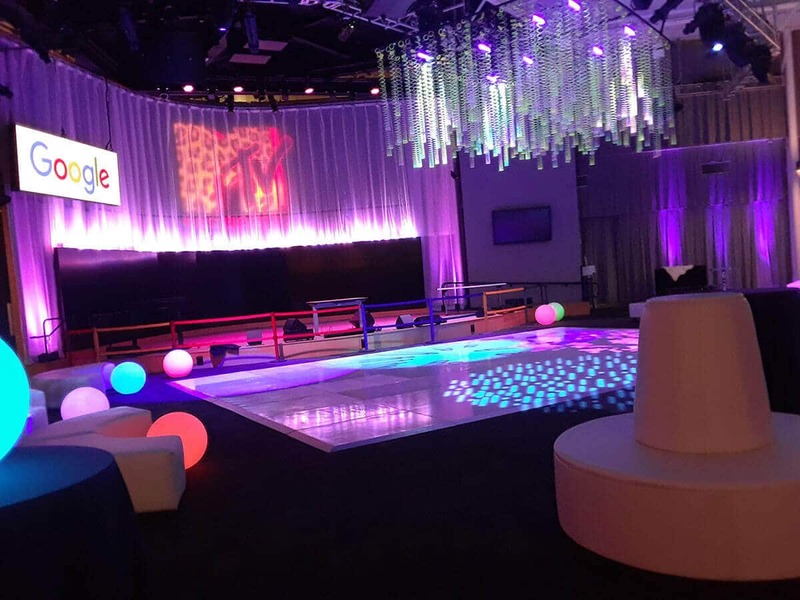 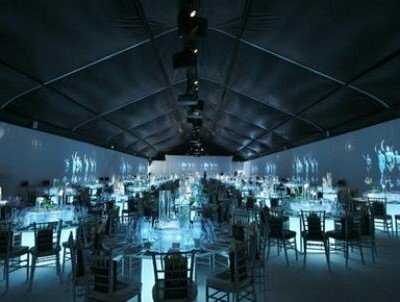 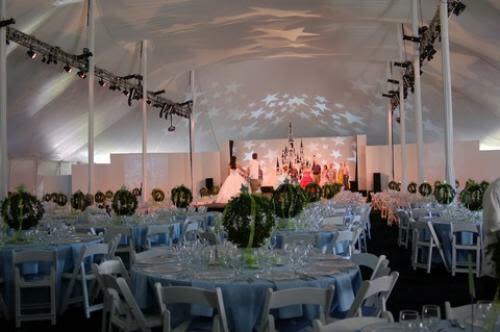 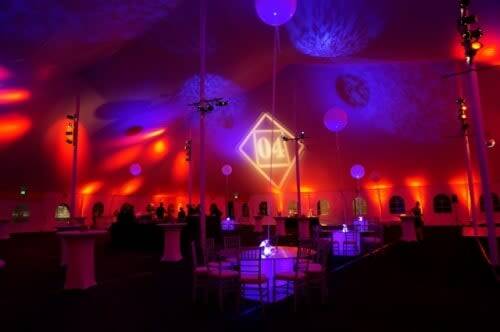 A 40’x100’ and 40’x50’ clear top tent with clear walls provide a stunning environment for this Stanford class reunion. 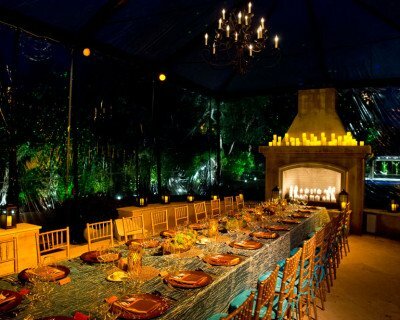 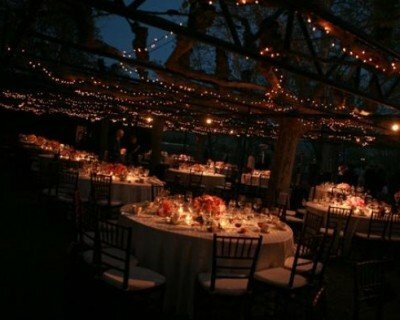 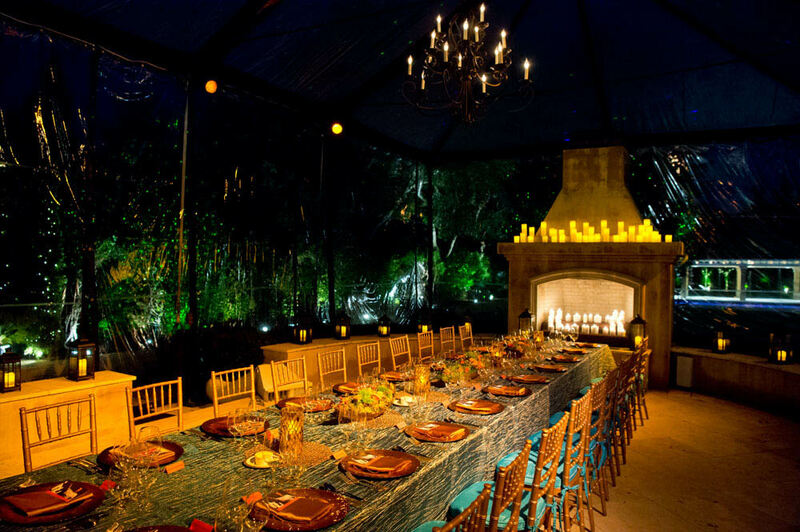 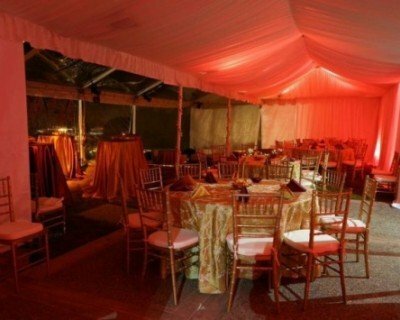 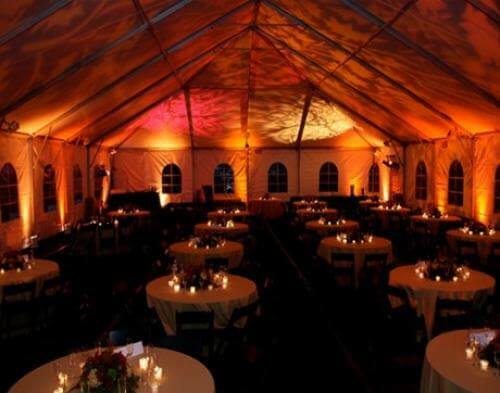 Amber uplights around the perimeter of the tents shine on the surrounding trees, bringing a golden glow to this event. 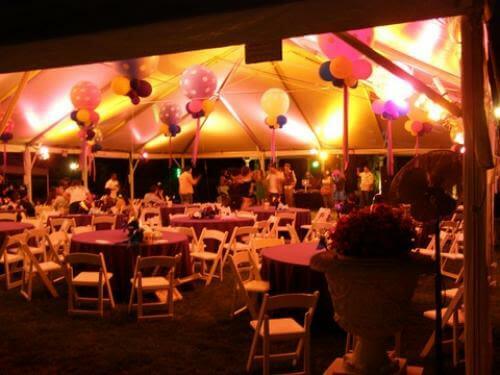 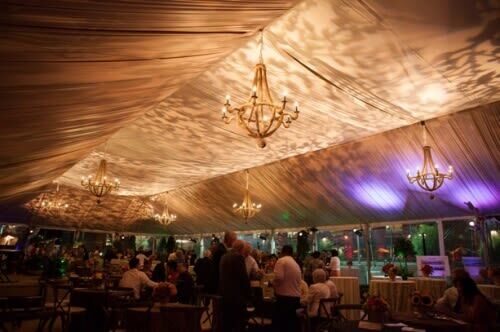 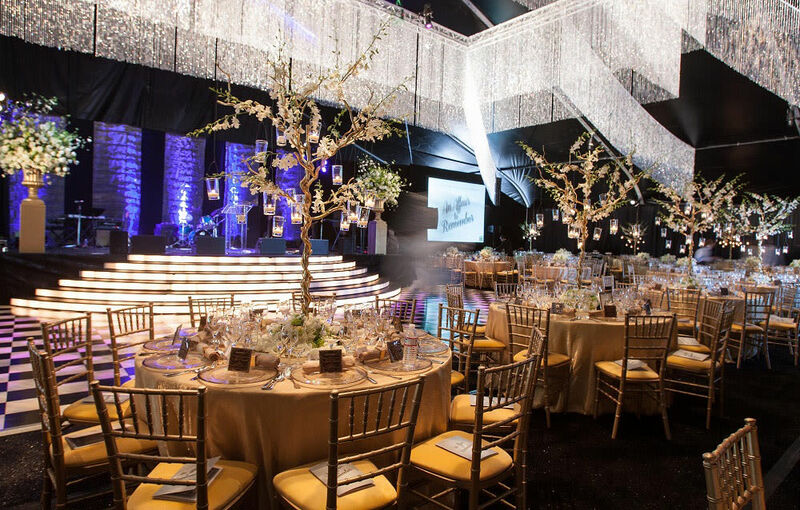 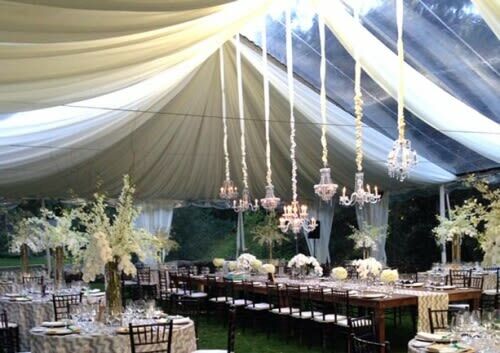 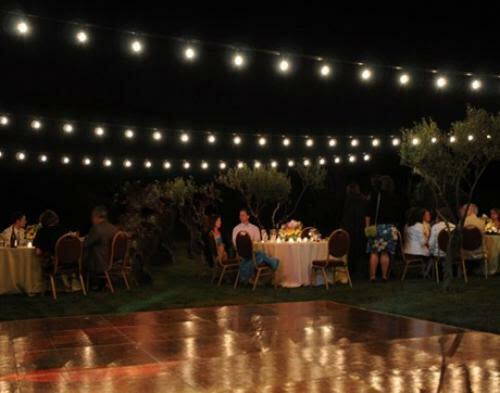 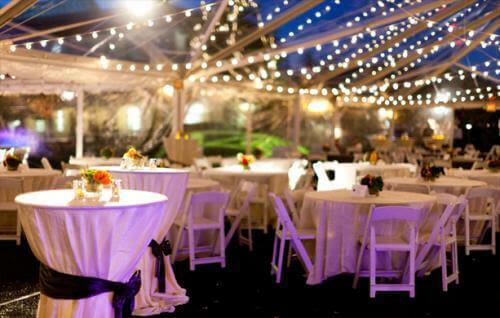 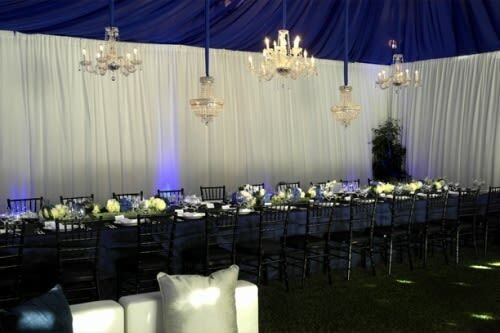 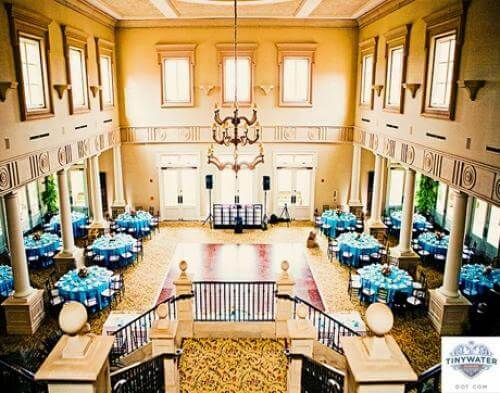 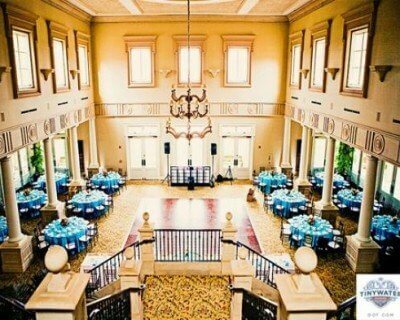 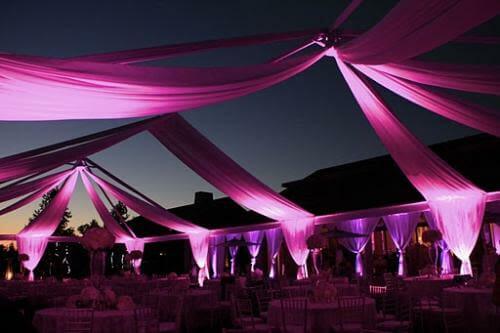 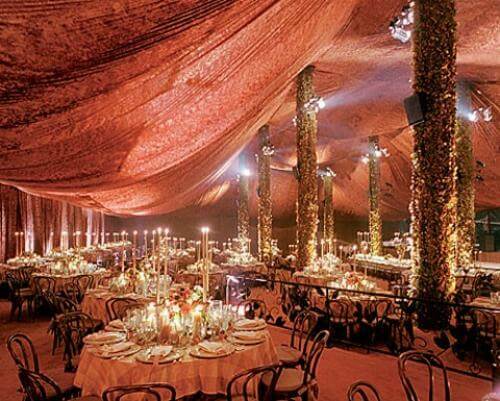 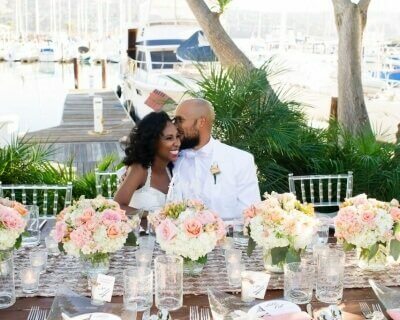 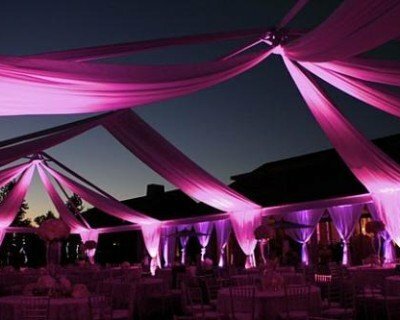 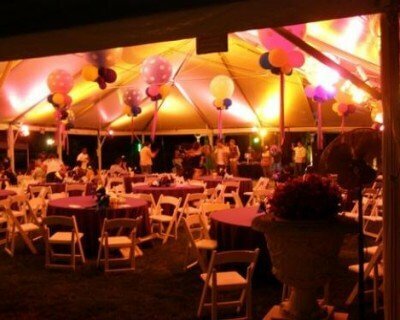 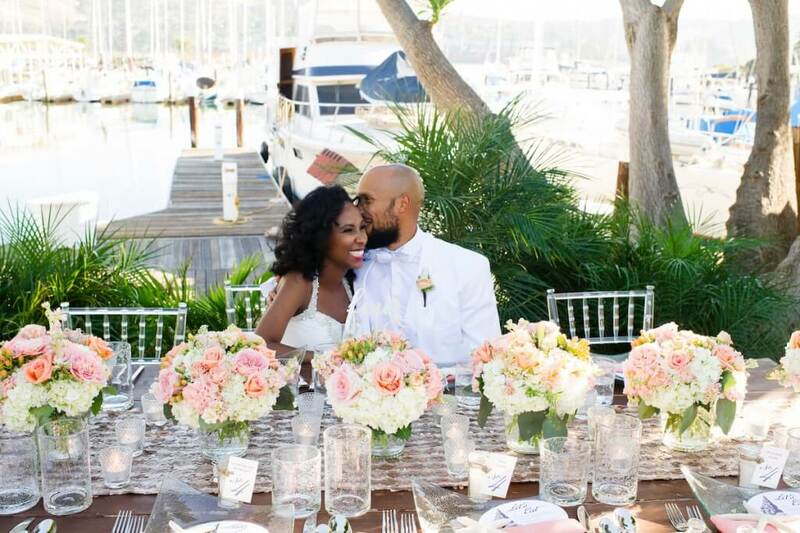 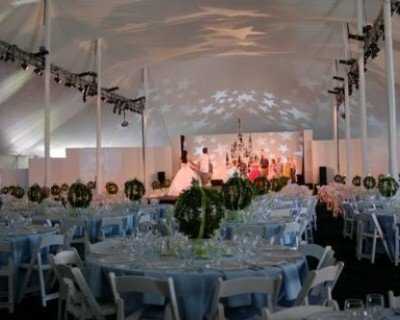 String lights strung across the clear tent top, along with light fixtures shining down on the dining tables, enhance the ambiance of this tented event. 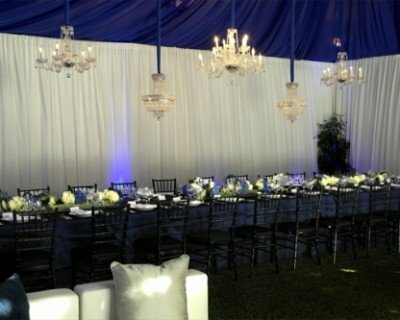 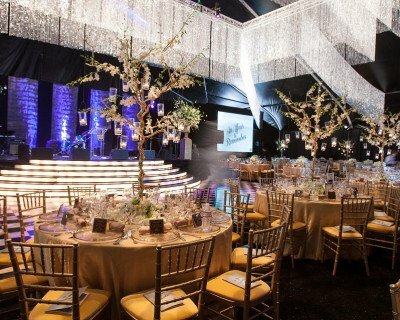 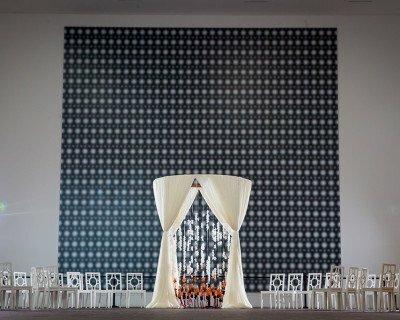 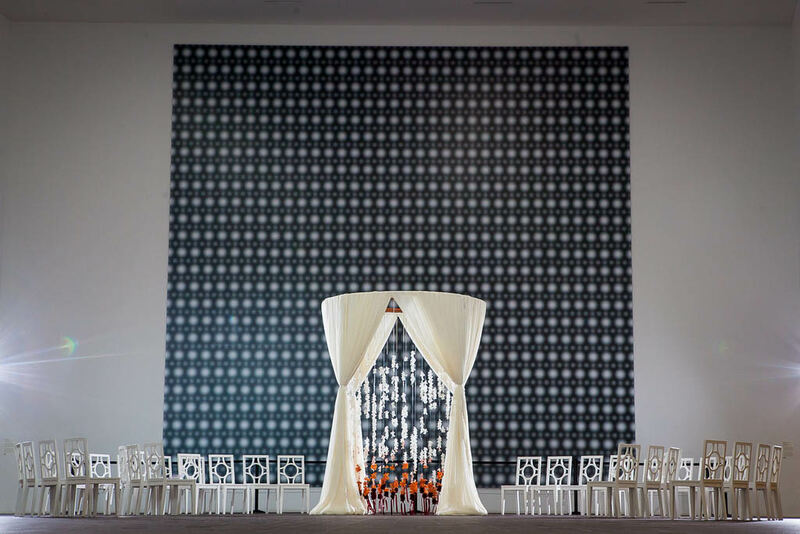 A subfloor with black astroturf provides flooring over grass while Crushed Iridescent Ivory and Steel linens decorate the tables.